We grew up with Habitat, Terrance Conran’s innovative design shops, started in 1964 in Chelsea. By the early 1970s they’d reached Manchester and our home and office looked like a Habitat catalogue setting. By the 1990s his empire included Mothercare and Heals, until he lost control. Conran went on the establish an architectural and planning practice Conran Roche, the Conran Shops [still a byword for design in Fulham and Marylebone] and a very successful chain of restaurants across and London. He set the style for the post war age, if that isn’t putting it too strongly, keeping faith with bright contemporary design in the face of whimsical romantic phases like Laura Ashley. His restaurants were, in the main, epic places. Mezzo in Soho was huge. 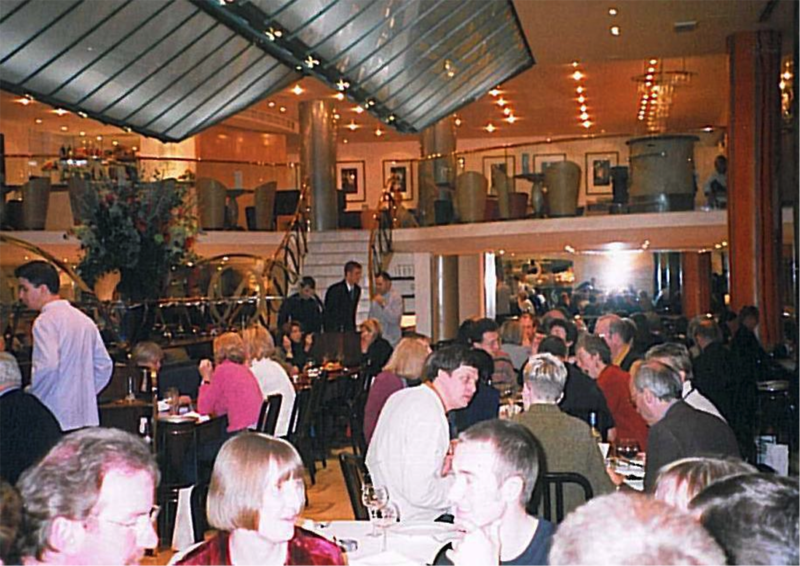 Of all of them, Quaglino’s in Mayfair was perhaps the most glitzy. As you came through the door, you approached the top of a processional staircase, where you could look down on the bright bustling dining room. Pure theatre. To see what it was like at the height of it’s success, and to see a collection of the classic recipes [the chocolate frangipan and pear tart is a must…and the spinach and parmesan tart – great starter with rocket/arugula and parmesan shavings and a couple splashes of balsamic and olive oil] you can track down Quaglino’s:The Cookbook. As with all things post-recession, there’s been a make over…judge for yourselves.